Looking for more fluidity in your stay? 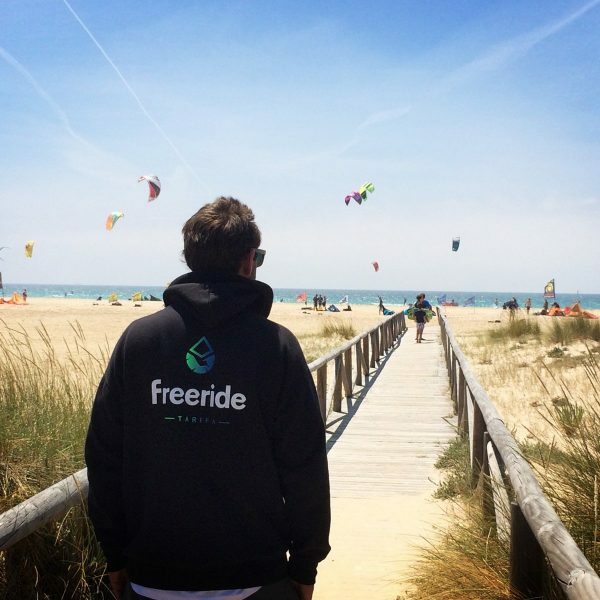 Discover another way to travel with VanBreak and Freeride Tarifa by combining the Andalusian tour with sports activities such as kitesurfing. This is what we offer you to ensure a seamless journey. Pick up your van in Malaga and come directly to Tarifa to start your kitesurf experience during 5 days to become an intermediate rider. After Tarifa you will be free to continue your trip and stroll to the sandstone of your wishes. Lacking ideas ? 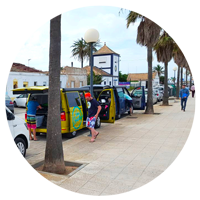 You can follow our suggested itinerary leading you through the discovery of fascinating and unusual places: surfing session at El Palmar, enjoying a mojito and sunset at Caños de Meca… As life is a ride, you will decide “when” and “where” you want to take the road. Upon arrival at Malaga Airport, take a cab to join the rental agency, pick up your van and let’s the Andalusian adventure begins! 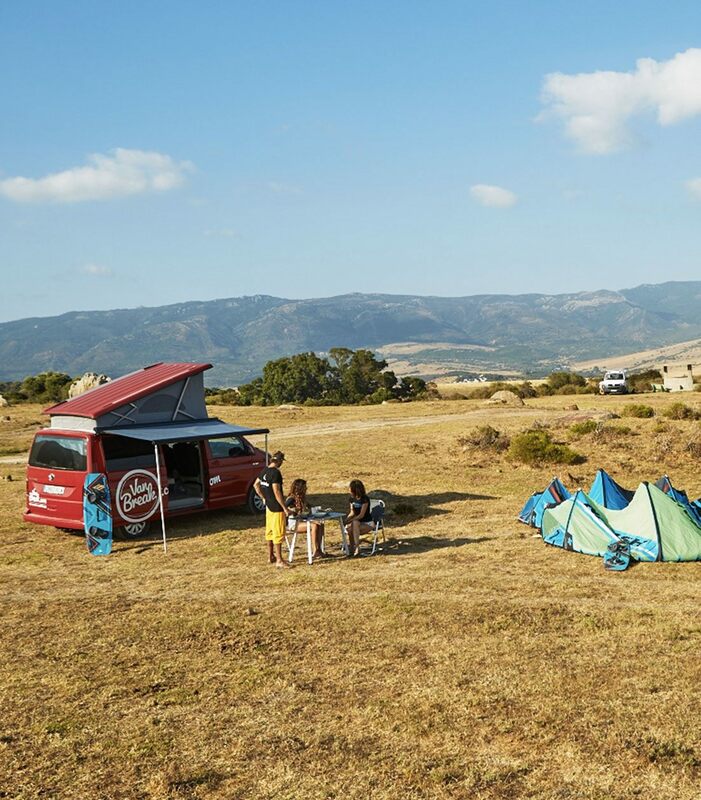 On board your Camper Van you’ll quickly reach Tarifa : your home kite spot! Discover the European capital of the wind and start your 5 days training to directly immerse yourself in the region’s atmosphere. You will have 3h or 4h lessons per day – split in 2 sessions separated by a lunch break – depending on our availability. You will be looked after by one of our qualified instructors with a maximum of 4 students per instructor. 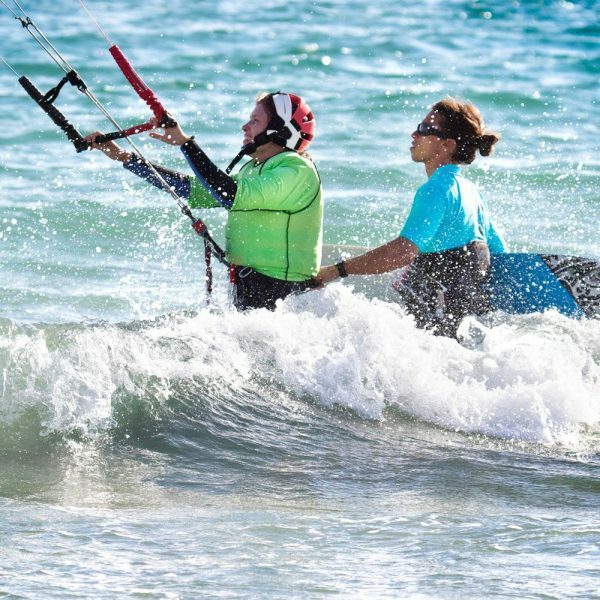 Thus, you’ll learn the basics of kite safely and discover your first riding sensations. We monitor your progress using a radio headset in order to help you evolve faster and enhance your practice in real time. 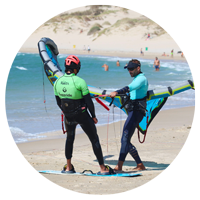 Our kitesurfing lessons take place between Los Lances and Valdevaqueros in Tarifa. In case of strong winds, we move onto the sheltered Mediterranean side where the wind is lighter. We usually finish off the day by gathering at the beach bar. “The After Kite” is a precious moment where you get to share your experience of the day with other kitesurfing enthusiasts over a drink, while admiring the beautiful sunset of Tarifa! 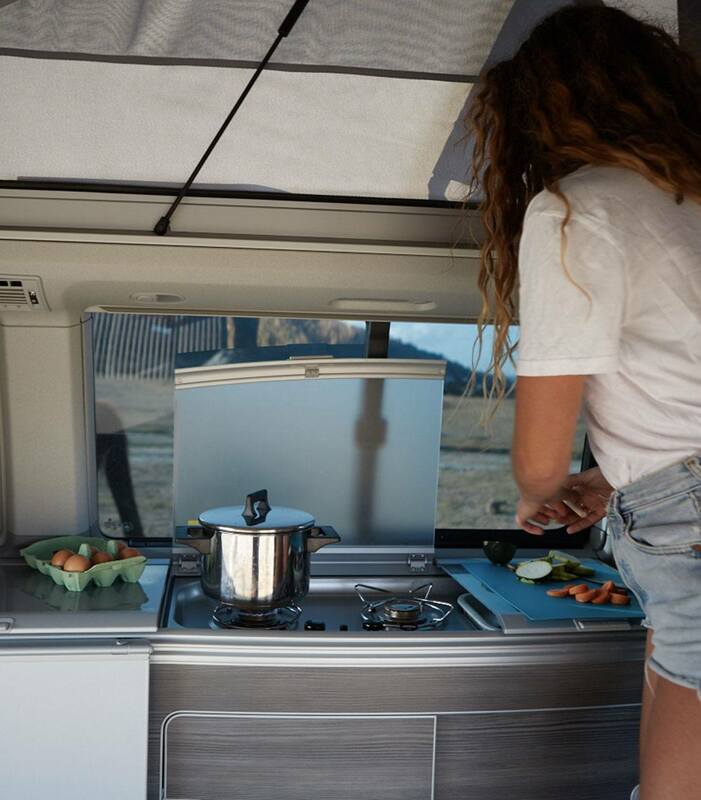 Live the best road trip ever, driving the Volkswagen California Ocean T6. 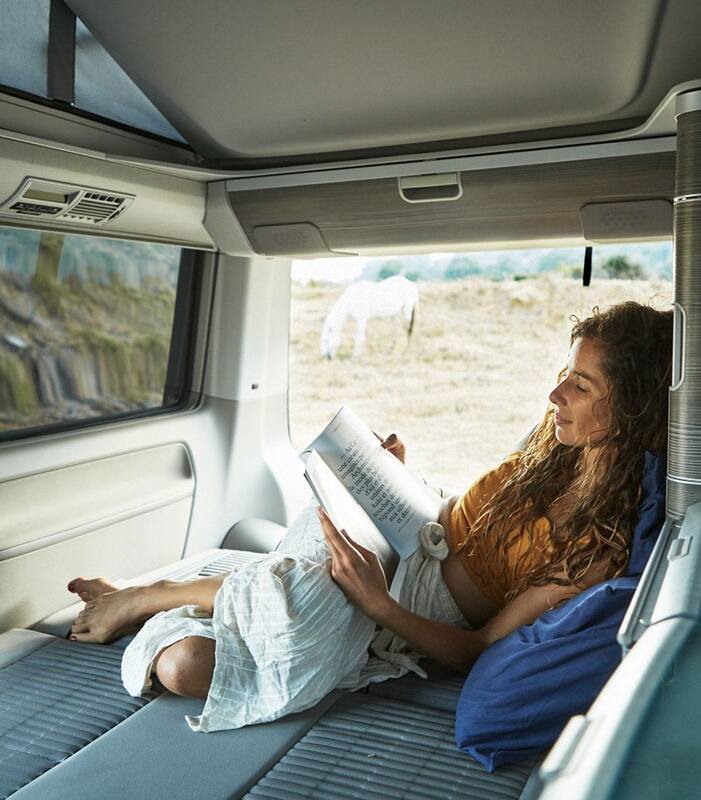 Your Kombi can accommodate up to 4 people, it is equipped with 2 double beds, an indoor living room and all the necessary equipment to live independently with its kitchenette equipped, ideal for a trip as a couple, with family or friends. During your kite training on Tarifa, you can sit in your camper van with sea view in Valdevaqueros, Punta Paloma or on the kite spot of Los Lances, 5 minutes from Tarifa; or directly in Tarifa if you want to enjoy the nightlife without driving! We will suggest you where you can stay but also good tapas bars and restaurants! to do, so you should find something to suit you. Departure from VanBreak agency in direction of the Atlantic coast in order to reach Tarifa and start your kitesurf experience. We suggest you to take the AP-7 motorway which is paying but less dangerous and faster than the coastal road. Join us for 5 active days. 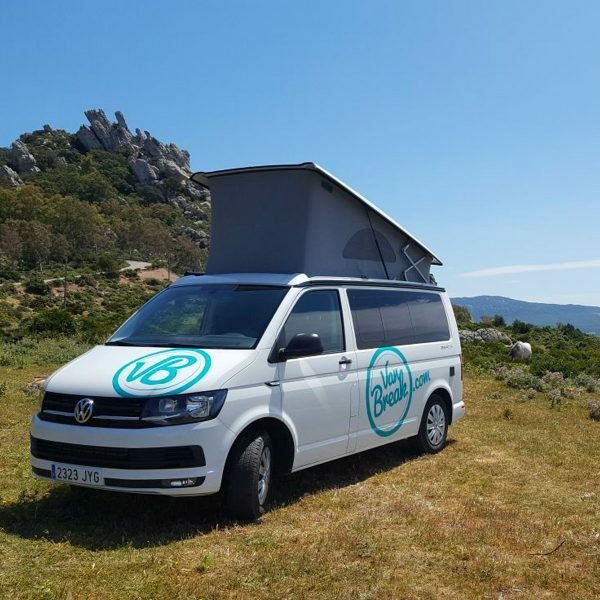 Two possibilities to spend your nights in Tarifa: Park your Van in valdevaqueros field, close to the Tangana Beach Bar or go a bit after and take the road towards Bolonia, exit Punta Paloma (5min from Valdevaqueros and 10min from Tarifa in van) and take the first left at the campsite to join the “chiringuito” (beach bar ) Volaré. Very quiet spot (a bit busy in summer time but maybe less than the field), overlooking the beach of Valdevaqueros. Departure towards Cadiz. Do not hesitate to take a short stop in Bolonia to admire one of the most beautiful beaches in Spain. 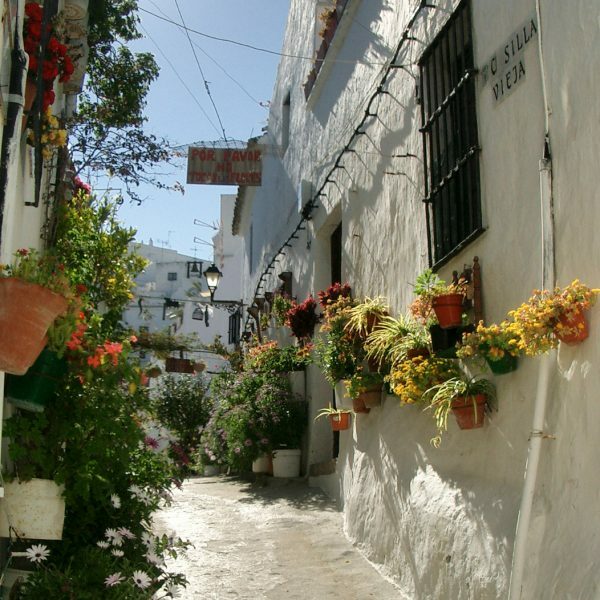 Continue your journey towards Vejer de la Frontera, a sublime white village at the top of a hill, perfect for a typically Andalusian ambiance with some tapas. 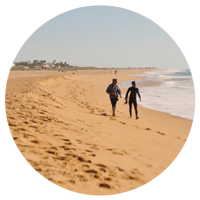 To spend the night join the surf spot El Palmar. During the summer there are a lot of people and it is better to sleep on a paying parking space next to the lighthouse where you will find showers at your disposal. On off season, you can find a spot facing the ocean without any problems and sleeping at the rhythm of the waves. Our heartfelts: Casa Francisco’s seafood restaurant, delicious with a nice budget. Pizzeria Dolce Vita run by Italians. 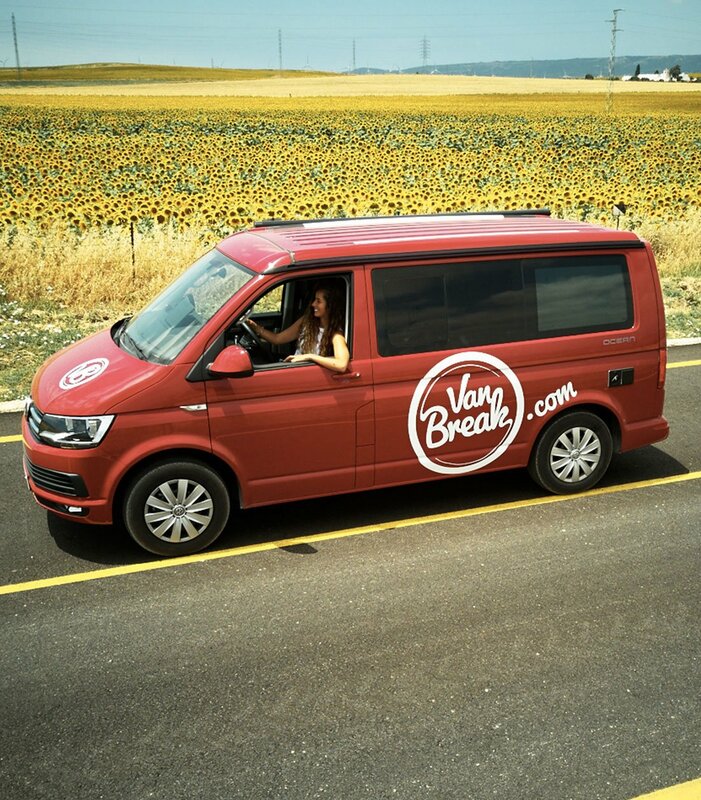 To rent surfing or take lessons ask for “Kiké” surf school 9 pies: official partner VanBreak. After a good breakfast facing the ocean we invite you to join Caños de Meca, a small town with hippie origins. You will find splendid beaches and an unusual place: the Jaima. Open in July/August, this beach bar worth the detour to enjoy a mojito at the sunset, the view is breathtaking. Do not forget to visit Trafalgar lighthouse and the historic site of the famous battle that bears its name. Direction to Cadiz to find the nautical port of Sancti Petri, a magical place to spend the evening: a lagoon with small fishing boats, a fort hanging on a rock and some paintings to be flushed on the white walls of this village. You can spend the night in the middle of the village or very close to the lagoon. Our heartfelts: El Palomar de la Brena restaurant in the heart of Barbate park, you can visit the largest pigeon house in the world and understand its strategic functions. Excursion in Kayak departing from the port of Sancti Petri and discovering the Marshes or stroll at sea around the military fort. Breakfast in the middle of the Sancti Petri boats and direction to Cadiz. This town is situated at the end of a kind of peninsula. Its cobbled streets are very narrow and there are few parking places. The best way is to put the van in a covered parking and quietly visit the city. 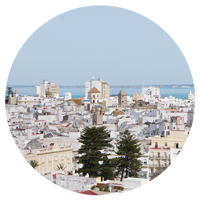 The Cathedral is surprising and worth a visit, the walk on the ramparts of the city is very pleasant, we must especially let ourselves be lost in its narrow streets and feel the good life that reigns in Cadiz. Departure to Puerto Santa Maria and camping Playa Las Dunas to spend the night in peace. Stroll on the beaches of Puerto Santa Maria before the return trip to Malaga. Count 3 hours of journey to reach Vanbreak Agency from here. Our heartfelts: Casa del farero restaurant in Sancti Petri for delicious tapas and beautiful setting, Caleta beach in Cadiz. of peace taking your breakfast in the rough nature, facing the sea. 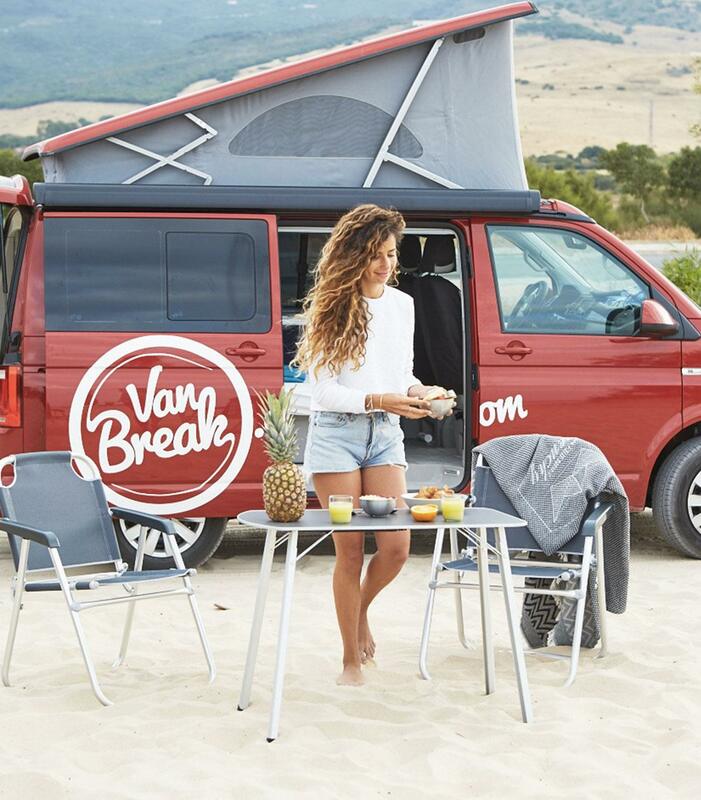 Pick up your van in Malaga and follow the wind to Tarifa. Check out our kitespots and get an idea of the nearby villages you can visit.